Its only June — pre-convention, with many voters are not paying attention. Expect these number to swing back and forth, wildly at times, over the next few months. Remember, in US politics, 5 months is a very long time. 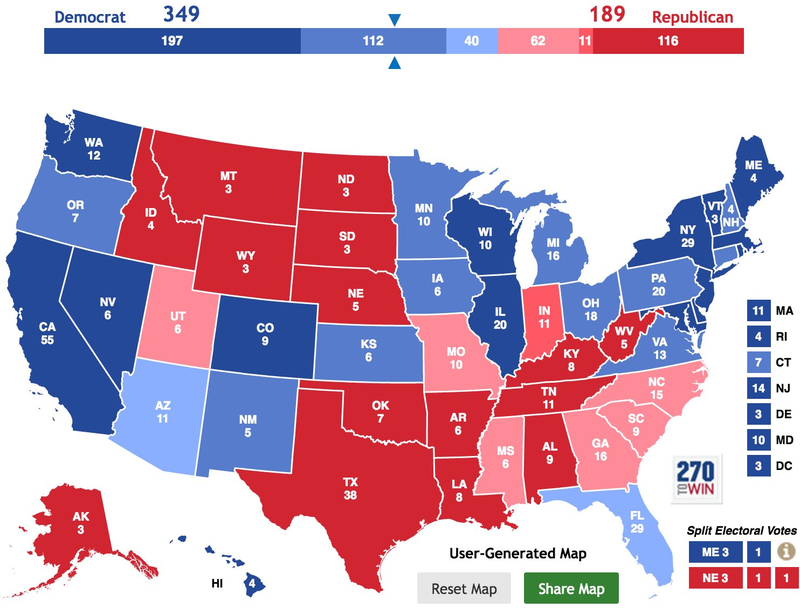 Still, according to Benchmark, this is what the Presidential Election looks like if voting were held this week. Not what you might have guessed three weeks ago . . .